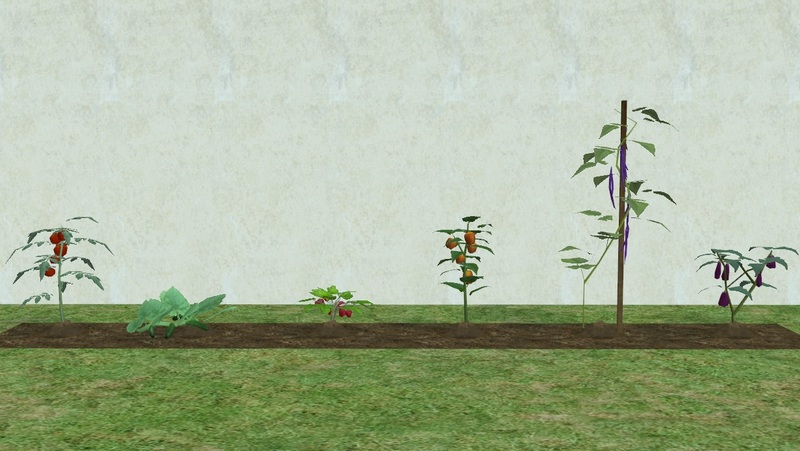 It always bothered me that the six original garden crops shared only two mesh sets and one texture, when they were six such different plants. Well, I decided to change that, by creating default replacements with their own individual meshes and textures, and here they are. I have uploaded them separately, because you do NOT have to have them all, you CAN pick and choose. Apart from the meshes and textures, there are two other differences from the originals. Firstly, I made these visible from Hood view. Secondly, there was an error introduced by a later EP, Apartment Life I think, where the plants did not disappear immediately on harvest. I cloned these in a Seasons only environment and made the Clean Up function private, so if you had problems in the past you should now find the plants work properly without needing a mod. Each one also includes a mesh tweak for its fruit crop on the plant, so the crop appears at the right height and position. I also tested these out with the custom garden plot made by @Honeywell and included in the patio set uploaded here http://www.modthesims.info/download.php?t=470191 and they work well. 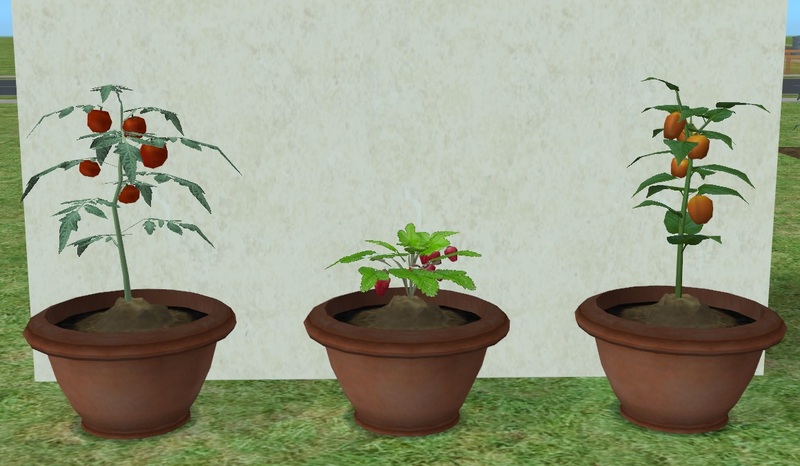 If you already have growing plants when you install these defaults, you will probably find your plants have turned invisible. 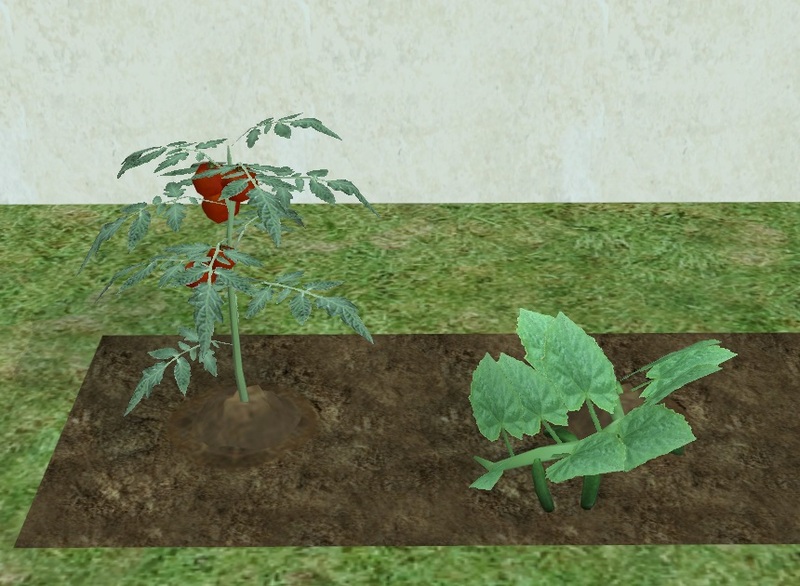 You can either compost them and replant, or using testing cheats choose "DEBUG - make harvestable" which will bring them back in the new configuration ready for harvest. (N.B. 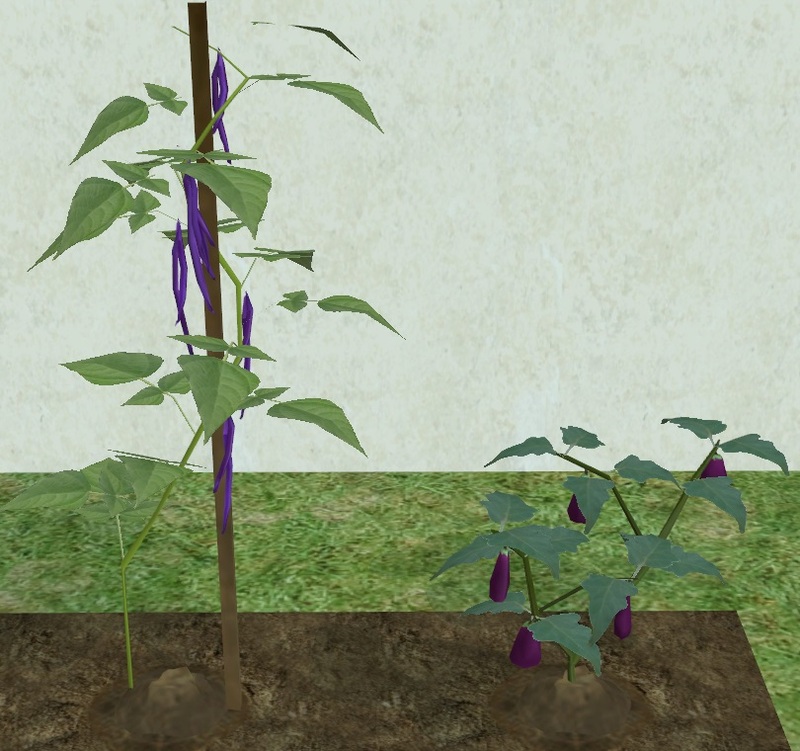 The Eggplant is a little difficult to locate when invisible, because the clickable area is off-centre.) I personally would recommend harvesting your crops first, then install the defaults before replanting. 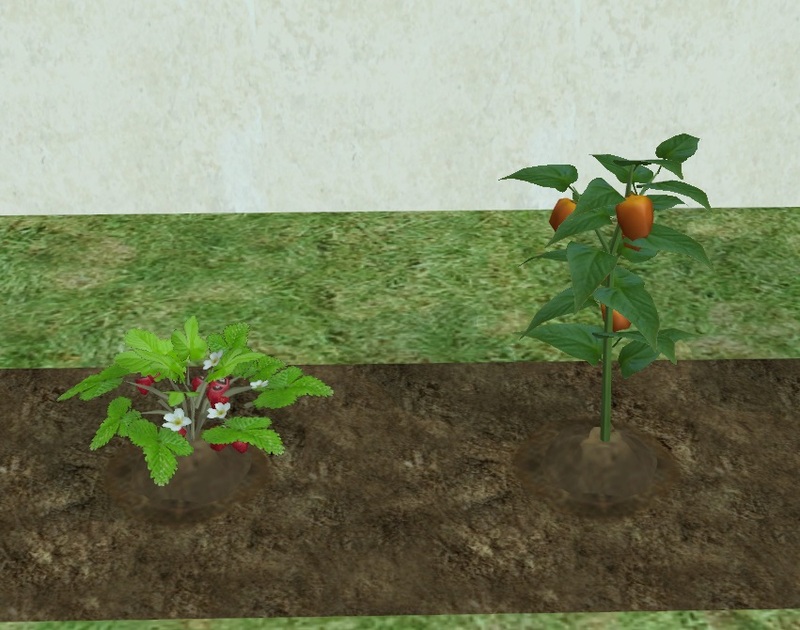 My special thanks to @Bienchen83 who gave permission for me to use the excellent mesh from her own harvestable strawberry plant found here http://www.modthesims.info/download.php?t=162336 which I heartily recommend to anyone who doesn't have the Seasons EP. The vertex counts for the meshes are found under the spoiler. Included in main text under spoiler. Bienchen83 for permission to use her mesh. The writers of all the tutorials, without whom we could do nothing at all. 222 people have said thanks to Aysarth for this download.